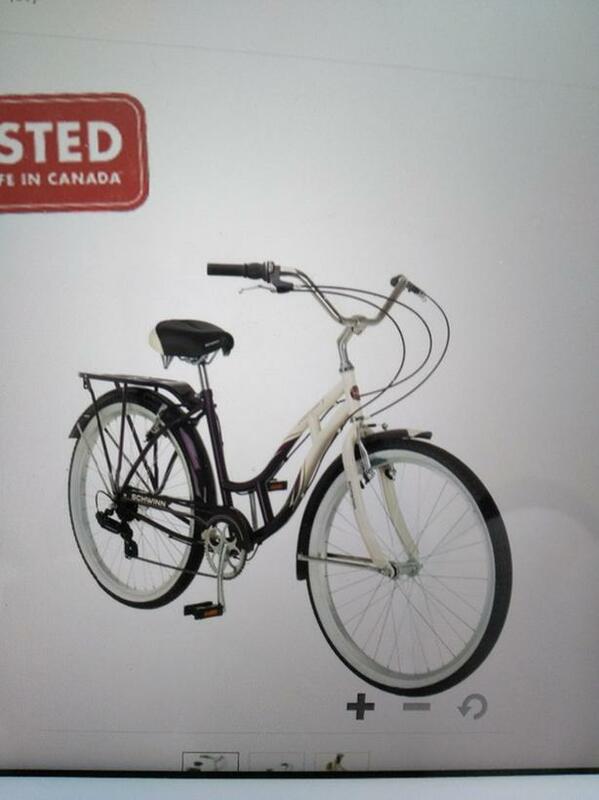 A Schwinn cruiser style in purple and cream. Three months old. Any leads to its disappearance would be greatly appreciated and I will have a reward for its return.